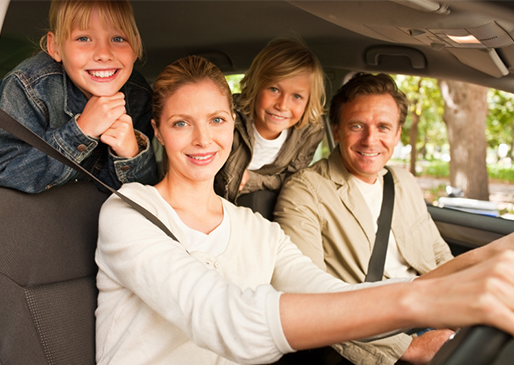 Carrying the proper auto insurance coverage is very important to protect you (and your family’s) present and future financial well-being. For example, if you were to hit a patch of ice in the winter and cross the center line, causing someone to end up in a wheel chair (or be killed), you and your auto insurance company will be financially liable. If you have no insurance and/or inadequate insurance coverage limits, your salary/wages/financial assets (such as your home) can be garnished by the court for the injured party. Most agencies write your auto and home insurance and forget you! Douglas Trunnell Insurance Services with its advanced management system and professional, experienced staff monitors your rates to make sure you have the proper coverage for the best premium. Plus, we are always happy to spend time with you explaining how the different parts of your auto policy work to protect you and your family. Douglas Trunnell Insurance Services will quote you with all of our companies to make sure you are receiving the best premium for the proper coverage that you request. We run apples-to-apples comparisons with your present coverage and will also quote our recommended coverage for your particular financial situation. The standard auto policy includes bodily injury, property damage, un-insured and under-insured motorist, medical, collision, and comprehensive (other than collision) coverage. Additional extra coverage is available such as towing/roadside assistance, rental reimbursement, GAP (pays the difference between your loan/lease value and vehicle value in case vehicle is totaled), new vehicle replacement and accident forgiveness. Liability insurance in Iowa (“liability only”) provides bodily injury and property damage coverage for the other party when you are at fault. “Liability only” does not cover damage to your own vehicle. Medical (a per person limit) covers all persons injured in an accident regardless of fault. If its limit isn’t sufficient to cover the other party’s injuries when you are at fault, then the bodily injury limit will apply. Comprehensive (other than collision) coverage covers your auto for “non-moving/not driving” damage such as fire, glass repair/replacement, hail, wind, and a tree falling on your car. Hitting a live animal/bird such as a deer or pheasant is also covered under “comprehensive.” Usually a deductible applies. Collision coverage covers your auto for “moving damage” accidents such as backing into another vehicle, hitting a tree, driving “through your garage;” hit-and-run situations (when your auto is parked) are paid under collision coverage. A deductible applies. After we have written your insurance, we are very happy to respond to any of your inquiries and questions; your peace of mind is very important to us. For most claims/claim situations, it is usually best to discuss the potential claim with us before submitting it to the company. In many instances, it might pay to get an estimate before the claim is actually submitted -- in case the net payout (claim amount minus your deductible) isn’t sufficient to justify filing a claim. In general, it is important to try to minimize your number of claims (claim frequency); that is, try not to turn in a lot of small claims. Most companies insurance rates are based on your accidents and violations over the past 5 years.